A foreign film importer, Gi-yeong is a family man with a wife and daughter. An aficionado of Heineken, soccer, and sushi, he is also a North Korean spy who has been living among his enemies for twenty-one years. Suddenly he receives a mysterious email, a directive seemingly from the home office. He has one day to return to headquarters. He hasn’t heard from anyone in over ten years. Why is he being called back now? Is this message really from Pyongyang? Is he returning to receive new orders or to be executed for a lack of diligence? Has someone in the South discovered his secret identity? Is this a trap? Spanning the course of one day, Your Republic Is Calling You is an emotionally taut, psychologically astute, haunting novel that reveals the depth of one particularly gripping family secret and the way in which we sometimes never really know the people we love. Confronting moral questions on small and large scales, it mines the political and cultural transformations that have transformed South Korea since the 1980s. A lament for the fate of a certain kind of man and a certain kind of manhood, it is ultimately a searing study of the long and insidious effects of dividing a nation in two. 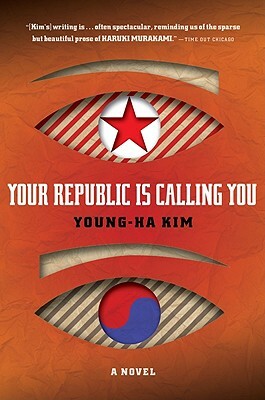 YOUNG-HA KIM is the author of seven novels—four published in the United States, including the acclaimed I Have the Right to Destroy Myself and the award-winning Black Flower—and five short-story collections. He has won every major Korean literature award, and his works have been translated into more than a dozen languages. He lives in Seoul, South Korea.